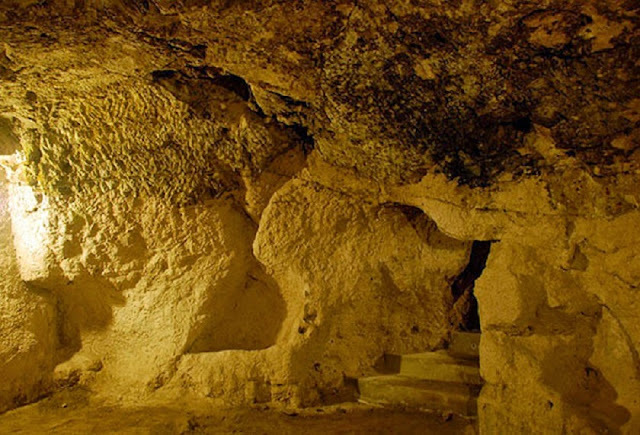 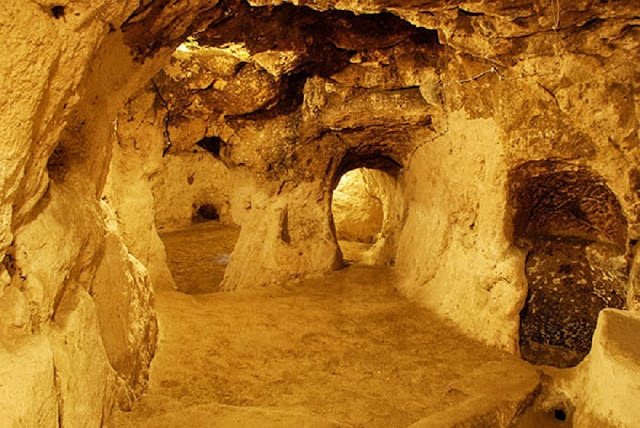 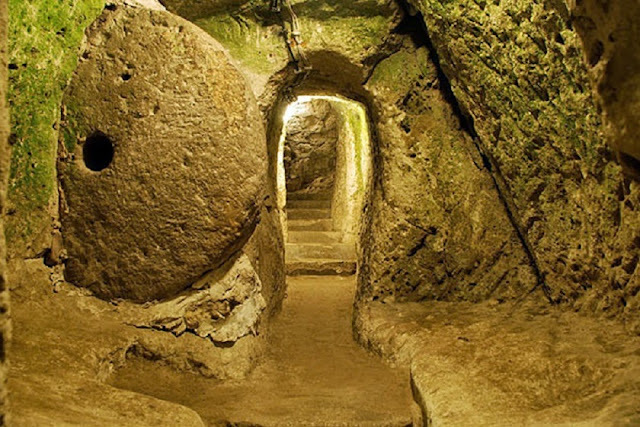 A Man Renovating His Home Discovered A Tunnel... To A Massive Underground City. 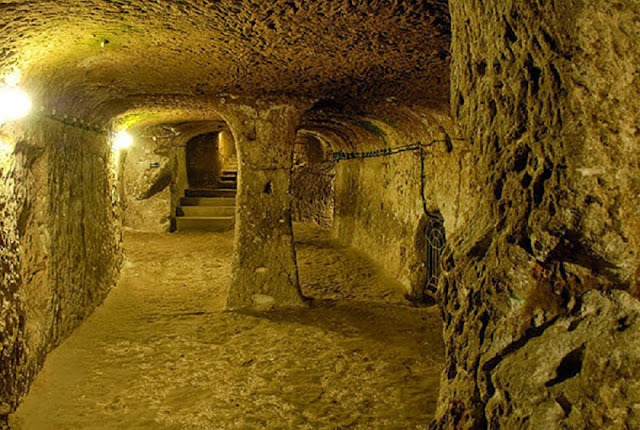 The city was most likely used as a giant bunker to protect its inhabitants from either war or natural disaster. 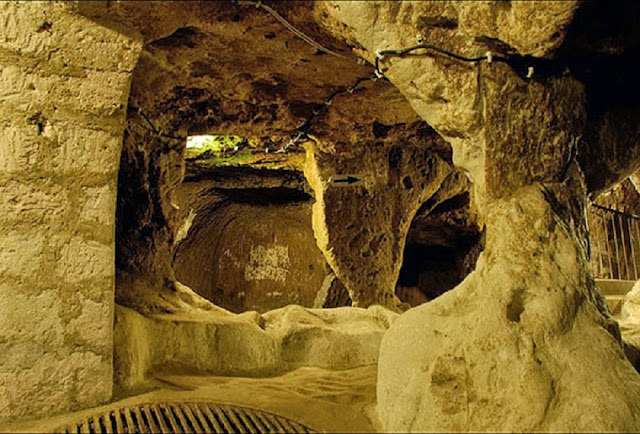 It had access to fresh flowing water -- the wells were not connected with the surface to prevent poisoning by crafty land dwellers. 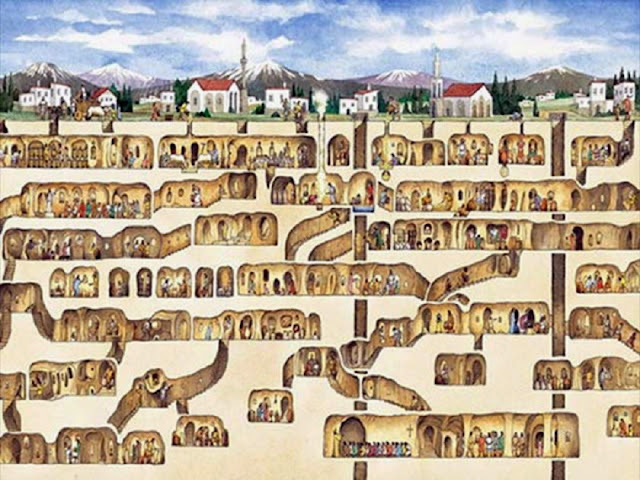 It also has individual quarters, shops, communal rooms, tombs, arsenals, livestock, and escape routes. 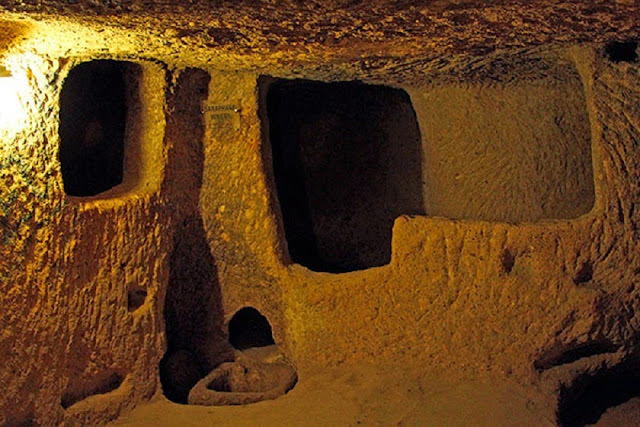 There's even a school, complete with a study room.